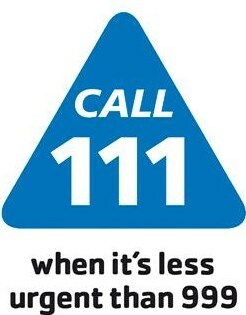 If you require urgent medical attention or advice outside of normal surgery hours please call NHS111 by dialling 111. Calls to the service are free from both landlines and mobile phones. If appropriate, the call handler for NHS111 will arrange for a GP or nurse to call you back, and you may be offered an appointment with a GP or nurse at the out of hours centres at Abingdon Hospital or Townlands Hospital in Henley. You may receive a home visit from the out of hours service if this is felt appropriate. The local Minor Injuries Units are also open in the evening and at weekends. See their website for details of what can be seen at these units. This service is available seven days a week, 10am to 10.30pm. X-ray opening times at this MIU are as follows: Monday to Friday – 9am to 6.30pm, Saturday – 10am to 6.30pm and Sunday – 10am to 5pm. This service is available seven days a week, 9am to 8pm. Please note that the X-ray department for this MIU is open on Monday, Tuesday and Friday at the following times: 8am to 12pm and 1.30pm to 4.30pm, and then on Tuesday and Wednesday it is open at the following times: 9am to 12pm. The X-ray department is not open on the weekend.